Audrey R. Russart, 78, of 530 N. Silverbrook Drive, West Bend died peacefully with her family at her side on Thursday, October 9, 2008 at Kathy Hospice, West Bend where she had been a resident the past few days. She was born on September 1, 1930 in Port Washington to Alois and Elsie Scheftgen Betz. She graduated from Port Washington High School. On February 26, 1949 she married Richard P. “Rich” Russart of Waubeka at St. Mary’s Catholic Church in Port Washington. They moved to West Bend in September, 1955 where she raised her family. In 1979, she and her husband moved to Myrtle Beach, South Carolina for work and retirement. They later returned to West Bend in 2004. Over the years she was employed with the West Bend Company and West Bend’s Paper Tree. She was a charter member of St. Frances Cabrini Church, West Bend and St. Michael Catholic Church in Myrtle Beach. 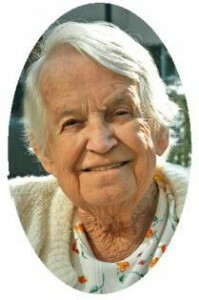 She actively played cards, especially bridge, loved being social with family and friends, bowling and golfing. She was proud of her Afghans knitted over the years while enjoying a glass of zinfandel and a pretzel. She is survived by her husband Rich, six children David (Jeanne) Russart of Ashford, WI, Diane (the late Gary) Jaeger of the town of Trenton, Rick (Cindy Lou) Russart of Dousman, WI, Sue (Bruce) McElhatton, Cindy (Dennis) Roos and Jack (Donna) Russart, all of West Bend; 22 grandchildren, 12 great-grandchildren, two sisters Marge (the late Erin H.) Poole of Port Washington and Gert (Paul) Klemens of Wauwatosa, brothers-in-law Paul (the late Pat) Russart of Milwaukee, Tom (Barbara) Russart of Lake Havasu, AZ, sister-in-law Patti (the late Henry “Hank”) Russart, other relatives and friends. A Mass of Christian Burial will be celebrated at 7PM Monday, October 13, 2008 at Holy Angels Catholic Church, 138 N. 8th St., West Bend. The Reverend Rick Wendall will be the celebrant. Visitation will be from 4-7PM Monday AT CHURCH. Memorials to Kathy Hospice, 3232 Pleasant Valley Rd., West Bend, WI 53095 or the American Heart Association are appreciated. The family would like the thank Dr. Robert Gibson and staff and Kathy Hospice for their truly wonderful care and support.